The Two Lanes are calling! There are 4,092,730 miles of public road in America. We’re gonna show you how to make the most of all of them without the hassle of competing with the crowds at Niagara Falls or draining your bank account to see the Northern Lights. Here are five unique adventures that belong on your summer 2018 bucket list. Each as Instagram-worthy as the next! 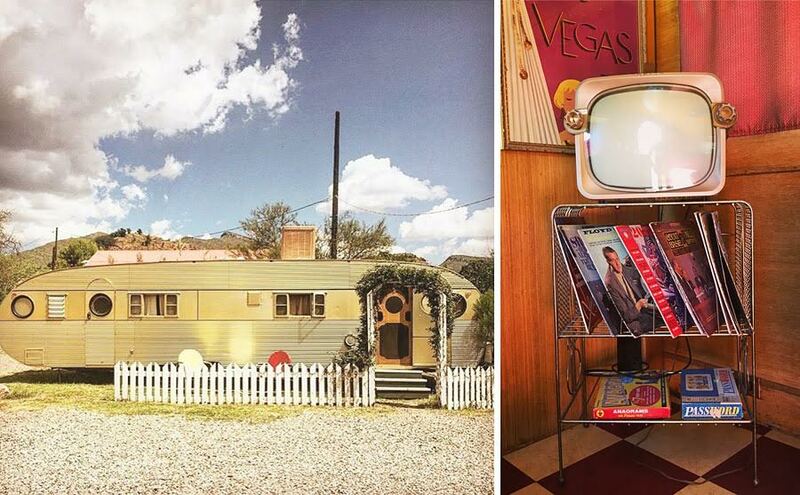 You’re gonna think the desert air is playing tricks on your eyes when you first pull off Highway 80 and turn into a vintage trailer court of Airfloats, (the same trailer models that James Dean and Elizabeth Taylor used as their luxury dressing rooms back in the day). But splash some water on your face because this place is no mirage! Since 1927, The Shady Dell has welcomed travelers looking to hang their hats and relax under the nostalgic high polished sunburst ceilings of the ‘40s and ‘50s trailers fitted with retro amenities. You remember how to use a percolator, right? Drop into The Shady Dell office, where you can borrow records and old movies to take back to your home away from home. Disable notifications, disconnect wifi, and reconnect to the glory days. Irish immigrants Catherine and William McGillin opened their ale house in 1860, the same year Lincoln was elected and just a few years after the Liberty Bell cracked. The couple and their 13 children lived in the apartment upstairs until the business became so popular that they sacrificed their home and made it part of the restaurant. 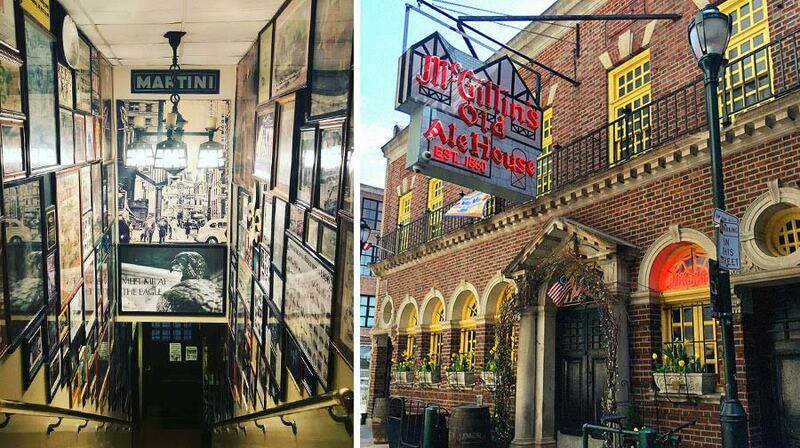 When that still wasn’t enough room to accommodate customers, McGillin’sexpanded into the back alley and the oyster house next door. Located just a few blocks from City Hall, this pub is still just as popular today with locals and visitors as it was back then. Order a little bit of everything then walk it off in the city where the Declaration of Independence was created. Between 1867 and 1871, Texas cowboys drove longhorn cattle from ranches in San Antonio along the Chisholm Trail to Abilene, Kansas, where the longhorns were put on trains and sent to growing cities in the north. It was one of the greatest migrations of livestock in world history! You can still travel the legendary cattle trail today, crossing the rivers and red dirt roads that carve through prairies and small towns along the way. One of the best is Waco, which straddles the Brazos River and boasts a bridge designed by the same company that designed the Brooklyn Bridge. The trip along the Chisholm Trail offers great vistas of the western plains before it ends in Abilene, just named one of top 10 true western towns of 2018. If you have a fear of open water, this may not be your cup of tea, but if you’re up for the 24-mile ride across what the Guinness Book of World Records says is the world’s longest continuous bridge passing over water, then we dare you to drive the Lake Pontchartrain Causeway. This bridge was built in 1955 and stretches across a lake where the bayous meet the Gulf of Mexico, and where alligators, the freshwater apex predators, meet the bull sharks, their saltwater counterparts. For eight of the Causeway’s 24 miles, you can’t see land in any direction … just a little something to think about as you’re white-knuckling it across the longest bridge in the world!. Located at the northernmost tip of Wisconsin, Bayfield is home to fewer than 500 people as well as The Apostle Islands National Lakeshore. 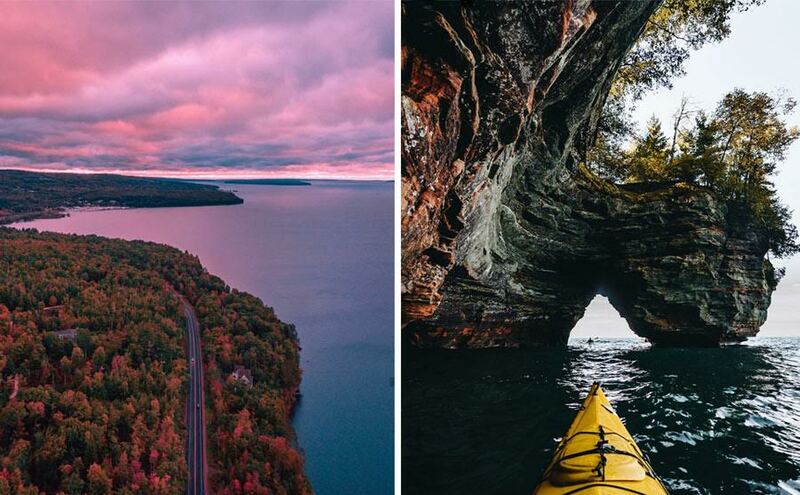 Drop your kayak into Lake Superior and float in and around the towering caves and cliffs along the chain of 22 islands. If you’d like to get below the water, go explore the Lucerne shipwreck on Long Island. When you come back to shore, explore the marinas, miles of beaches, and trails to take you above it all. If you’d still like to get a little higher, make your way to Sand Island and Raspberry Island to get a birds-eye-view from a 19th-century lighthouse! Like to see more? 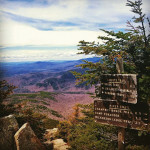 Follow our On Two Lanes Blog for more adventures in America’s small towns and the roads that wind between them! 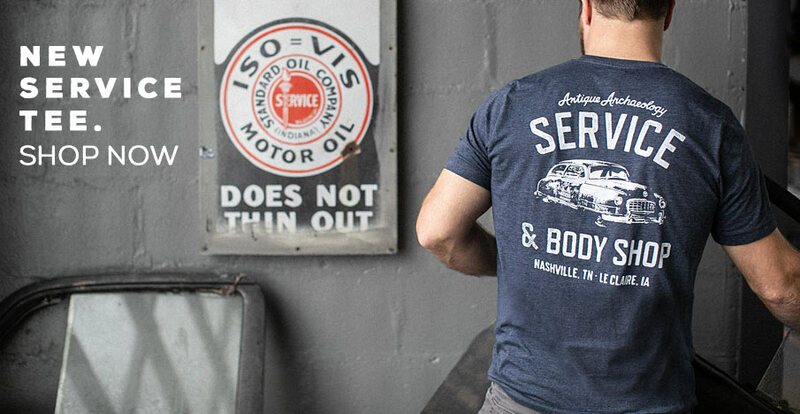 Inspired by old vintage service and body shop gear SHOP our new service tee! We have excellent roadways to explore in Australia too, but it can be a lot further between places in some parts of the country. The long straight drive in the Barrier Highway our to mining town Broken Hill. The vast emptiness of the Nullabor Plains. Endless sand dunes of the deserts in Western Australia. And of course we love our big stuff: big banana, big merino, big prawn, big pineapple, just big Big BIG! If you are going to be in the northern New Mexico/ southern Colorado area sometime soon, please let me know. We may have some things of interest to you such as old tractors etc. but not enough to come just for us. This area is a great subject for your show as it was the “ hub” of the Santa Fe trail old west tales. Trinidad, Colorado and Cimarron, NM housed many famous outlaws and lawmen with the famous St. James hotel that still has holes in the ceiling where cowboys shot their guns off in the saloon! Check it out! Taos, NM has kit Carson’s ranch near by and a pivotal part of the old west. Raton, NM used to be a busy little town in 50s -80s with a horse race track. Many little restaurants and motels with motel signs from the vintage era. San Luis is the oldest town in Colorado, bet there is some rusty gold there! LaJunta, Colorado has the original Bents fort, one of the first trading forts for trappers and Indians. And of course old Route 66 goes through New Mexico. Just saying we could use some good PR for the area and there should be some good finds for you. Cave City, KY is a unique place. There are caves to explore, all sorts of junk and rock shops, and motor inns that are decades old. We stayed at the Wigwam Village. Each “room” is a big concrete teepee. They are painted white. The interior is themed “old west”, and the beds are treelimbs woven together. Such fun! I can’t get enough of your enthusiasm and passion regarding old buildings and picking! After a work day, watching American Pickers is how I wind down – with a glass of wine or beer to be completely honest! 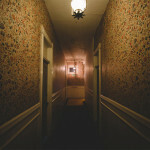 I love the history of the old buildings and the story you take back with you. 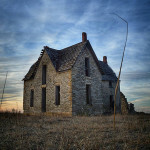 I love stumbling upon an old farmhouse or school house while driving the back roads of Wisconsin. My weekly intentional wanderings off the highways with camera in tow and a wide open mind has become my unique addiction. Through research coupled with a vivid imagination and a whole lot of love for history, I draft facts and fantasies for each stop I make. I love the American Pickers, love Mike’s way of thinking and his interest in saving it all! These people are uniquely special! Merry Christmas to you all.